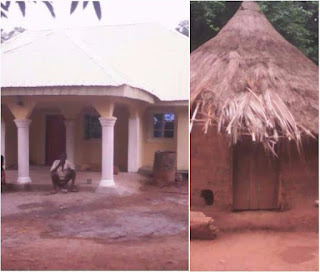 Mr Ebugwe Obu and Mrs Agnes Obu, the poor couple who have been married but childless for 30 years can now heave a sigh of relief, as their neighbour have come to their aid. It was gathered that Mr Ebugwe Obu and Mr Agnes Obu are peasant farmers, and often survive with a meal a day, and sometimes palm kernels, or corn, but have since remained faithful to each other. A testament that has kept their 3 decades marriage childless. 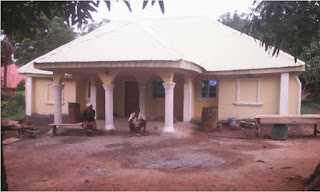 “Mr Ebugwe Obu has been married to Mrs Agnes Obu for the past 30 years. They have been so married since they both fell in love 3 decades ago. These couple has passed through the worst of temptations and trepidations. But the unity in their married vows has kept them going this far. 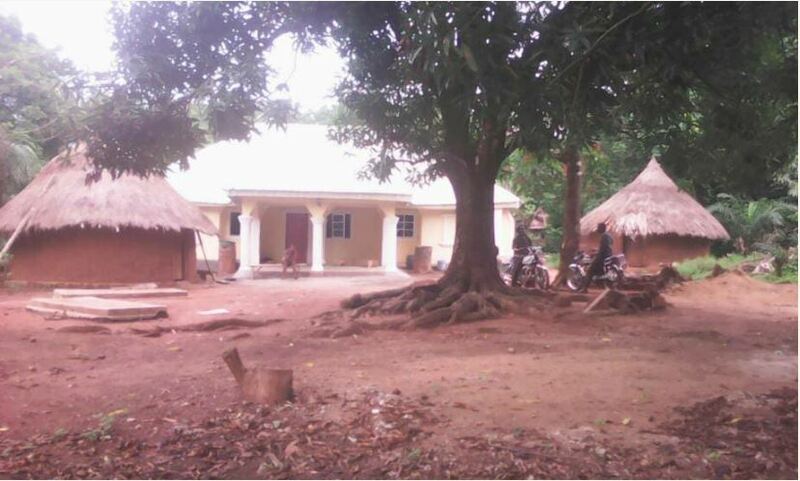 Mr Ebugwe Obu and Mr Agnes Obu are peasant farmers. They toil to survive. Often, they survive with a meal a day, and sometimes palm kernels, or corn. They have remained faithful to each other. A testament that has kept their 3 decades marriage childless. They have lived in a hut made of red mud and raffia mats which they constructed with their bare hands for as long as 45 years now recently. They don’t entertain guest, and had no friends, apart from a few customers who come to their house to buy various farm produce in pennies that can fetch a meal or two. The luxury of a sofa, bed, radio, television, and other modern technologies are only tales by moonlight to their ears. Married for 30 years without a child, these two lovebirds clings to each other for survival. Pittance is a way of life for them. A fence away from their red hut is a magnificent house. 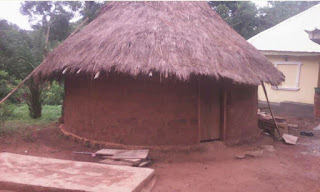 Built with the greatest of materials only seen and described by other villagers while on the way to the farms. 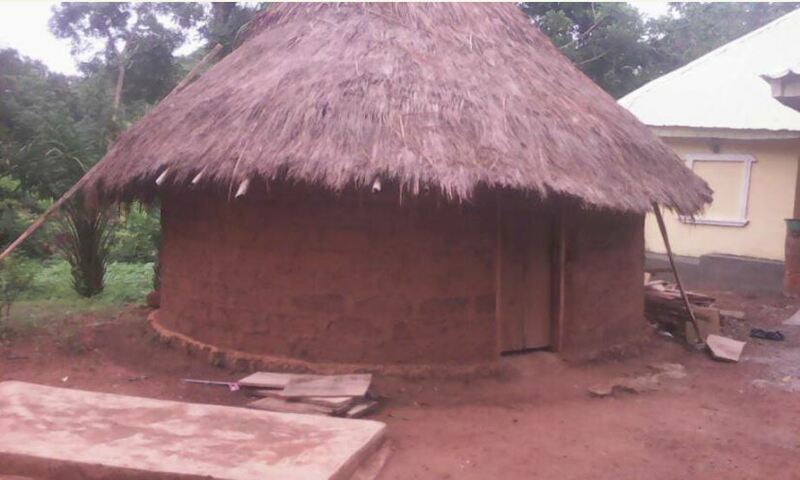 Mr Ebugwe and wife will only watch in awe as the house is being built. The house owner’s curiosity led him to visit Mr and Mrs Ebugwe Obu. Where their sad story was told him. Mr Koko Dan, the new neighbor of Mr and Mrs Ebugwe extended a hand of friendship and good neighbourliness, and has built a three bedroom apartment for Mr & Mrs Ebugwe. In other to increase their goodwill, Koko Dan has named the house Senator John Owan Enoh Villa. And has invited Sen Owan to present the keys to the couple.